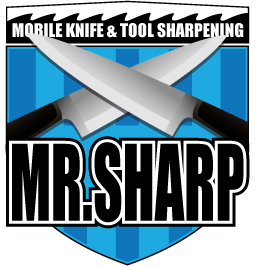 Mr Sharp’s a professional mobile sharpening business. We service cafe’s, restaurants, hair salons & butchers. We also do home visits for domestic knife. We sharpen Knives, scissors, hairdressers scissors, clippers both human and animal, pizza cutters, gardening tools, tools and more. Simply call to arrange a time for us to come and visit.